Marvel’s Hercules is a product of ingenious characterization. Y’see, Thor has success not just because of his cool lightning powers and 80s rock star hairstyle, but to be fair, he’s a god no one has heard of. He gets all the cool parts of being a god, except Thor’s never had Wishbone do an episode on him. Hercules has that problem of being super famous before Marvel even decided to plop him into their comic universe. So the writers took all the most well-known parts of Hercules (super strength, great adventurer, womanizer) and added the most important characteristic of long-lasting comic book characters: the dude’s likable. If you haven’t read my previous article on Hercules, you totally should. The most lovable oaf in comics today. 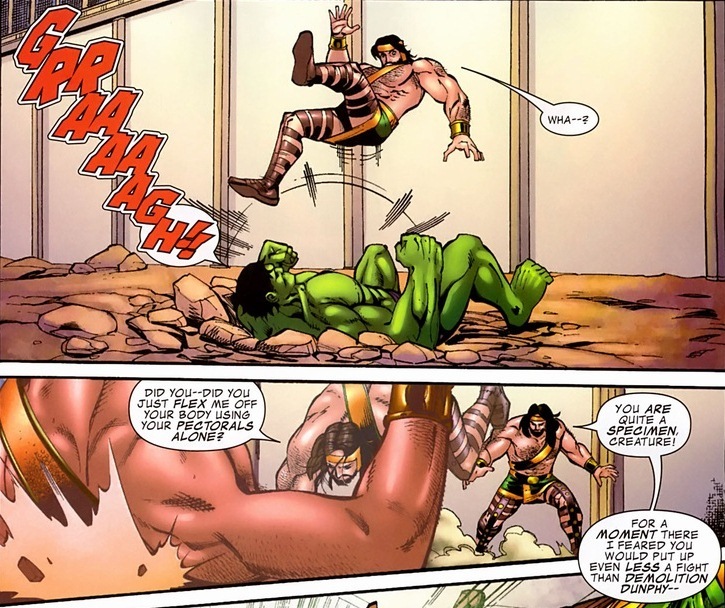 Hercules and Hulk also have a past far more impressive than just two big, strong dudes who like to punch. 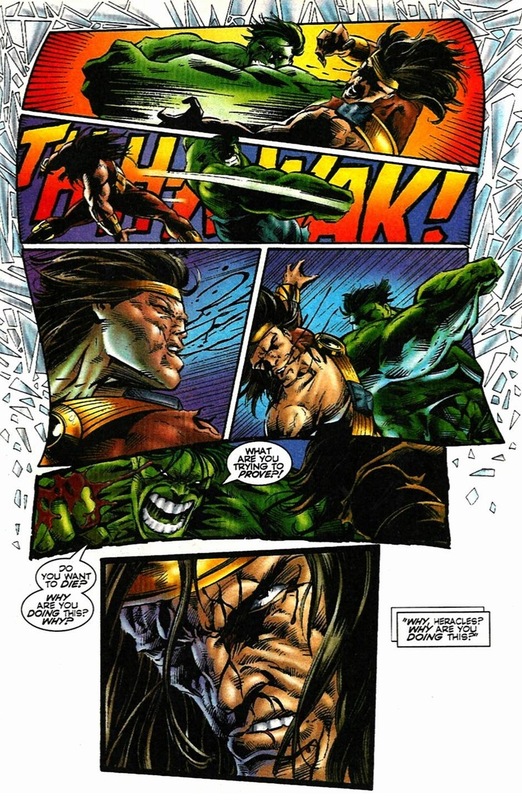 After the Marvel event World War Hulk ended, Hercules actually took over as the main character of the The Incredible Hulk series. You know, that comic that premiered our green giant in the ’60s? 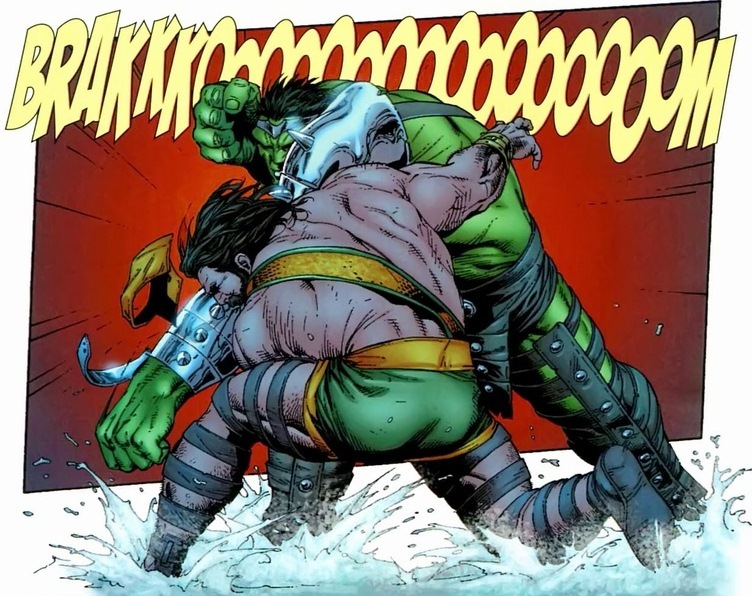 But bromances and camaraderie aside, writers know what fans want: two big, strong dudes who like to punch. 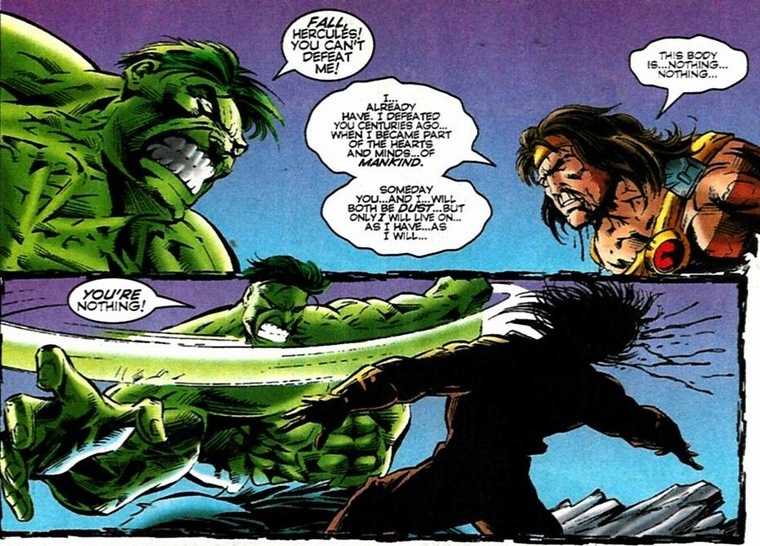 We’re going to take a look at three Hercules/Hulk fights today. 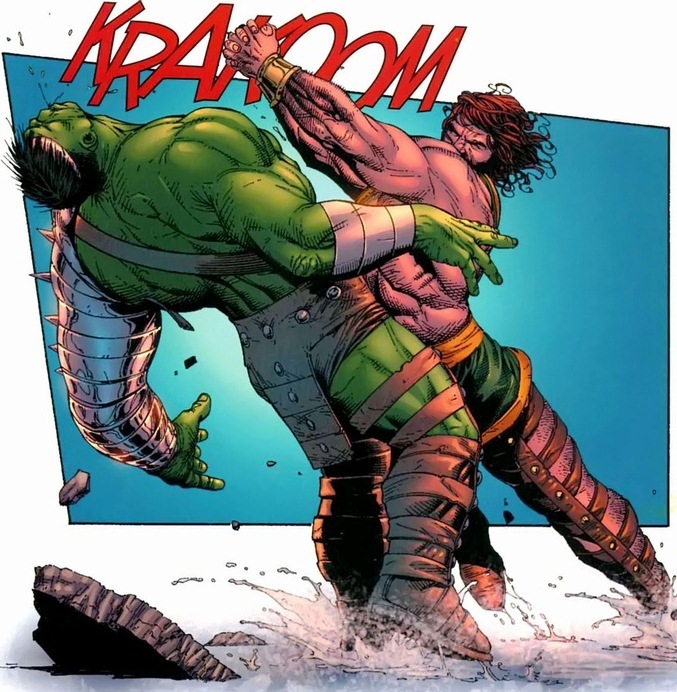 First up, Hulk vs. Hercules: When Titans Collide one-shot, written by Greg Pak and Fred Van Lente and drawn by a flurry of awesome people (go look it up). We go to a flashback, where Hulk just wants to be left alone as he travels to the most dangerous and violent parts of the world. Poor Hulk. You think warriors would see the ripped, enormous monster waddling towards them and get out of the way. But no, because that would make for boring comics. Anyway, our Greek hero shows up and trash talks Hulk in a way that only a Greek God can. I can only show you the highlights, but this fight dwarfs so many other battles with the amount of super cool moments. Now we get to the most important part of two superheroes battling each other: the team-up. In order for writers to avoid picking a winner and angering half of the readers, another formidable foe inevitably enters the arena and the two heroes have to combine their strengths to defeat him/her/them. And why not? We learned from the Civil War event that when one superhero (team) defeats another superhero (team), no one wins. Parades and mead are only given when the bad guys are knocked out. 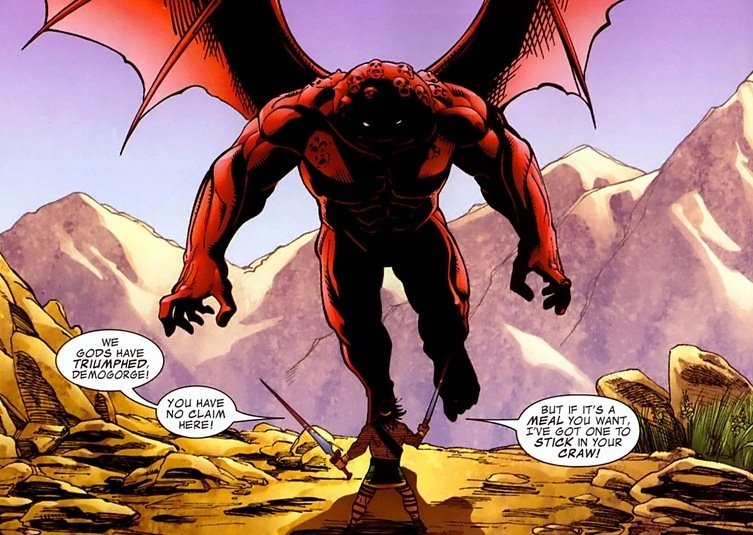 Want to see Hercules trash talk a giant demon monster? Of course you do. Everyone ends up happy and well-fed. Big success. Not so much in our second bout. 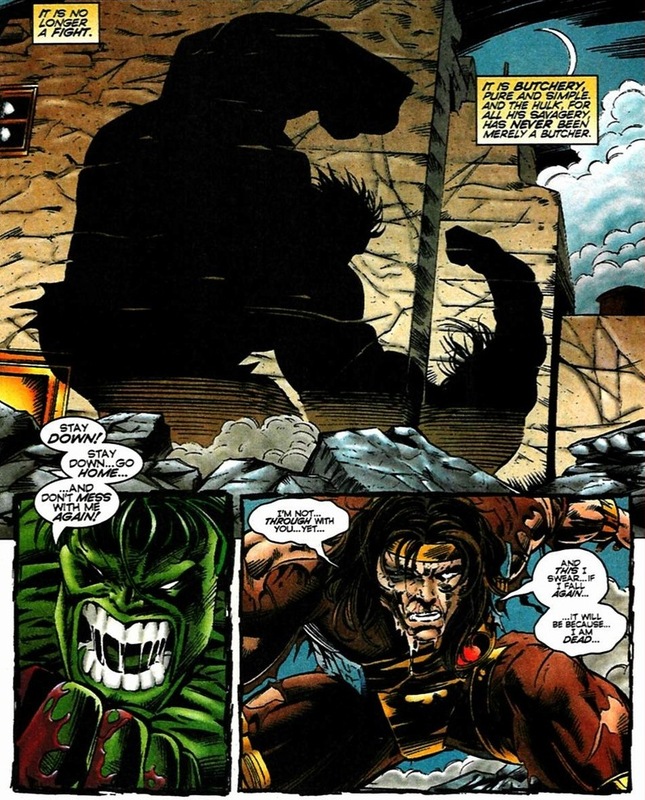 Let’s jump headfirst into the 1990s, specifically a one-shot called Incredible Hulk – Hercules Unleashed, written by Peter David and drawn by Mike Deodato Jr. Buckle in, kids. This one’s gonna be brutal. Besides all the fancy costume redesigns, the 1990s changed how comics told stories. No longer campy or silly, comics featured tortured, angsty heroes desperately fighting the never-ending throngs of foes all while simultaneously realizing how useless their crusades had become. I’ll admit that does make for some fantastic stories, but I’ve always enjoyed stories more where the superheroes actually like their jobs jump kicking society’s worst. Can you feel the sad overtones pervading throughout this fight? Because this rumble never needed to happen, solves nothing, and will only bring sorrow and misery. You know it. Hulk knows it. But stubborn Hercules doesn’t. And he pays the price. The battle’s only ends by a literal grace of God, but you can read the issue for all that. 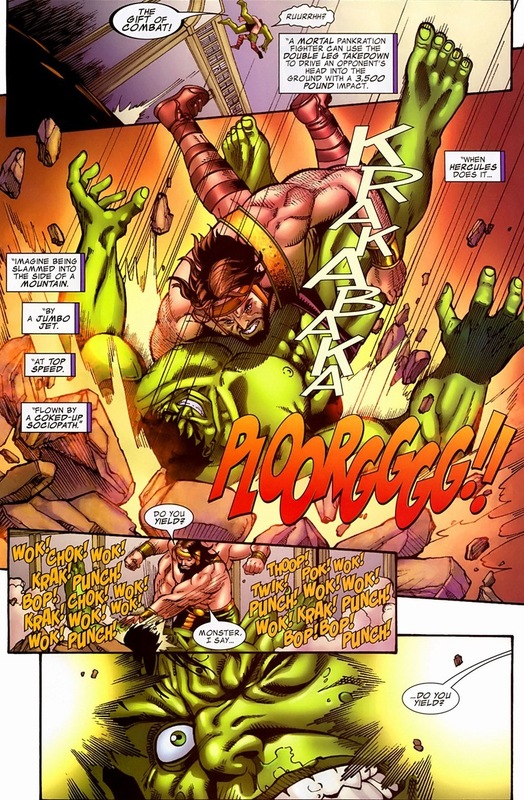 The problem with fighting the Hulk’s that he has no limit to his strength. 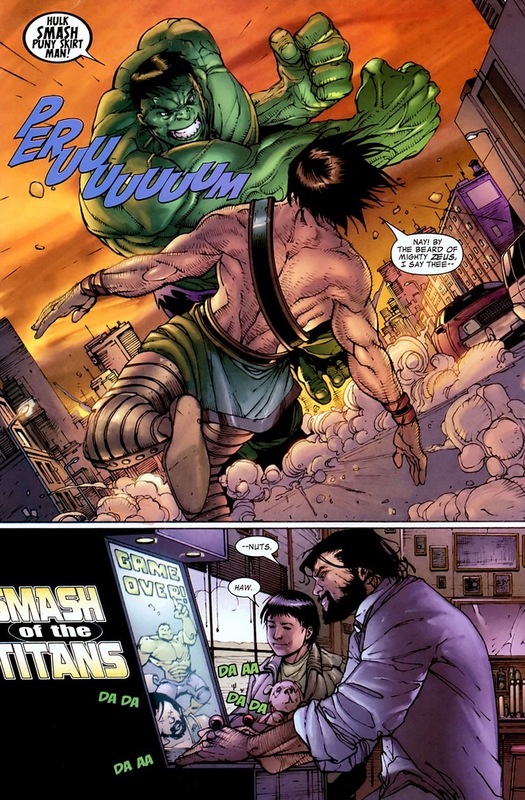 Hercules can bench press a good 100 tons (about the same as Namor and the Thing), but backhand the Hulk a few times, he can now take that 100 tons and juggle it alongside a mountain and aircraft carrier. Our final battle between the two requires no explanation or context. Sometimes readers just want to see behemoths exchange blows. 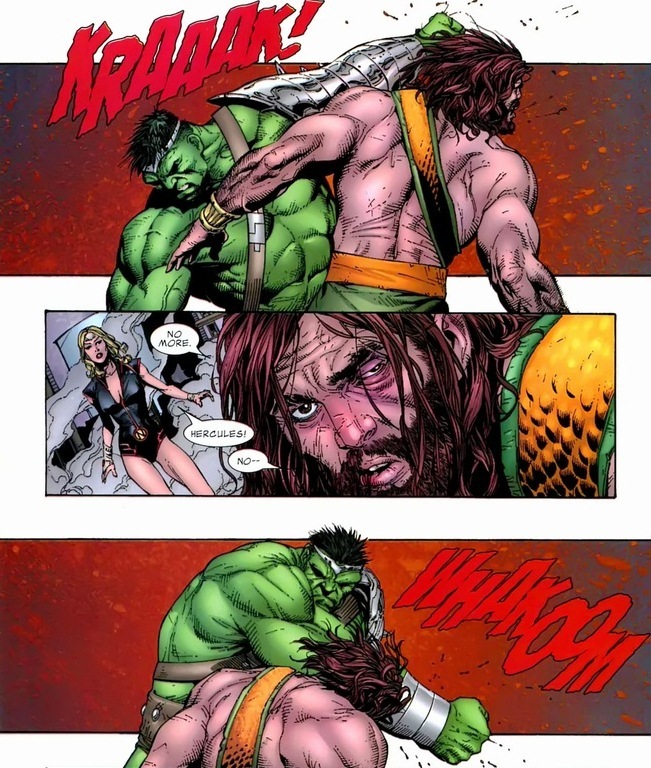 We’re looking at The Incredible Hulk #107, written by Greg Pak and drawn by Gary Frank. I lied. You might want some explanation. 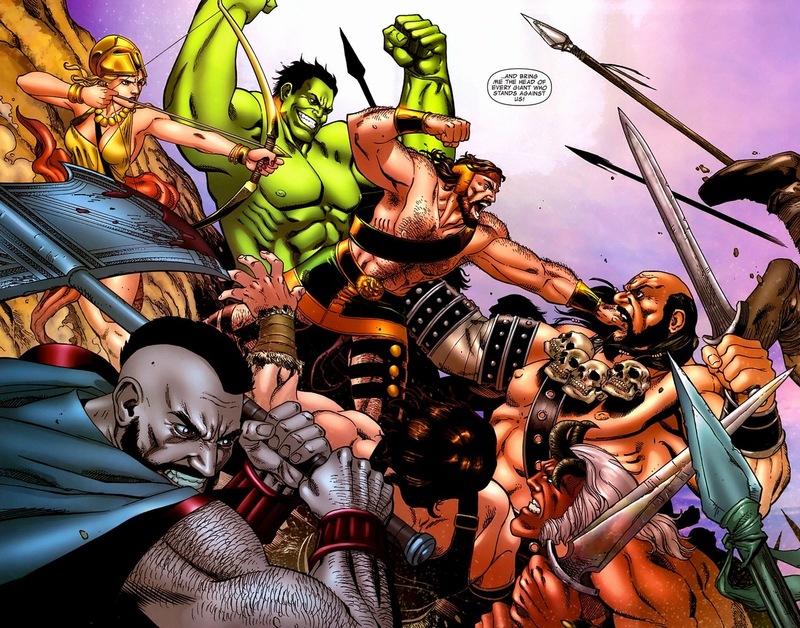 Smack dab in the middle of the World War Hulk event, Hercules and his gang confront Hulk to join his side. Turns out it’s not just Hulk who feels betrayed by being shot into space never to return. Their chat doesn’t go well. So who wins this round? The people, duh. Only a matter of time before Hulk and Hercules rumble again, because two super strong, shirtless men just can’t help themselves. I’ve seen enough YouTube videos to know that shirts protect their wearers from irrational decisions, not just UV rays. Let’s call this article one long, bloody PSA. 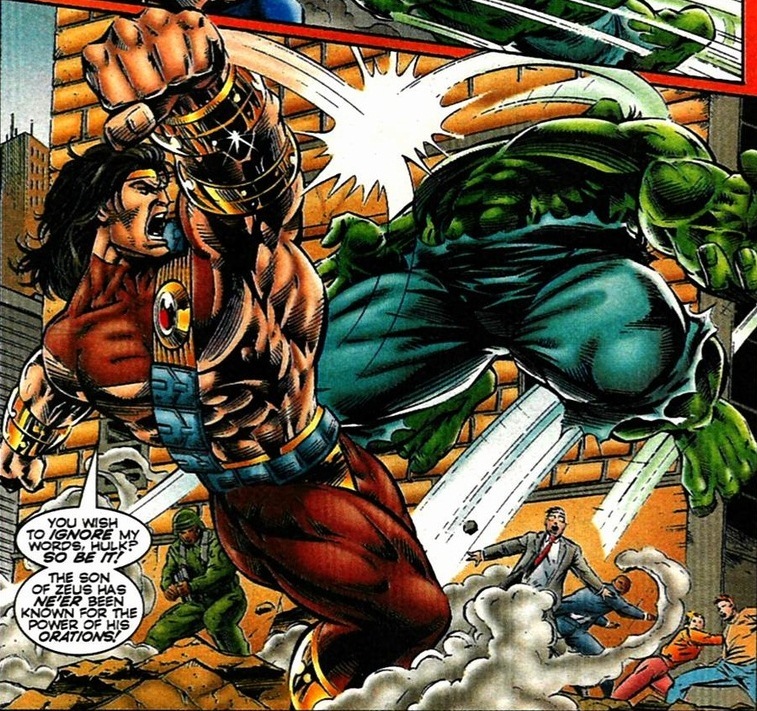 Hercules was depowered in the 90’s. 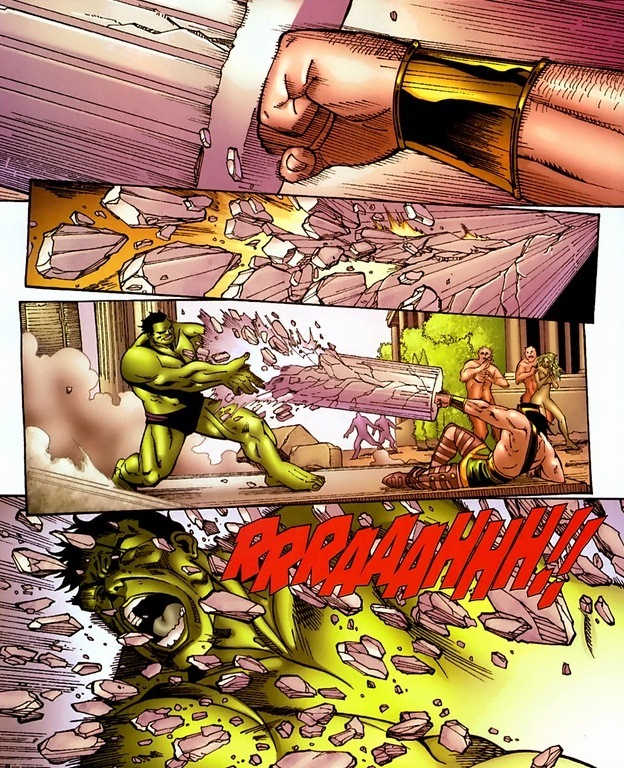 He’s basically a more skilled Thor without the hammer so Hulk shouldn’t have beaten him so one-sidedly. 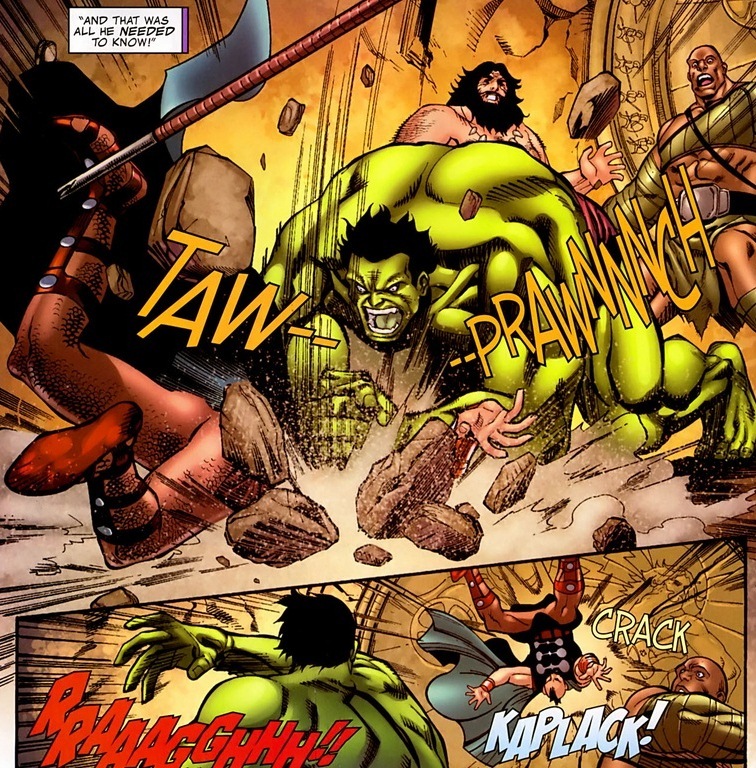 I Think that HULK could actually beat HERCULES in a battle to the death. Yah, the reason he doesn’t is that there is still bruce banner in hulk, meaning bruce banner stills gets a limited control of the hulk,meaning that hulk will not kill. 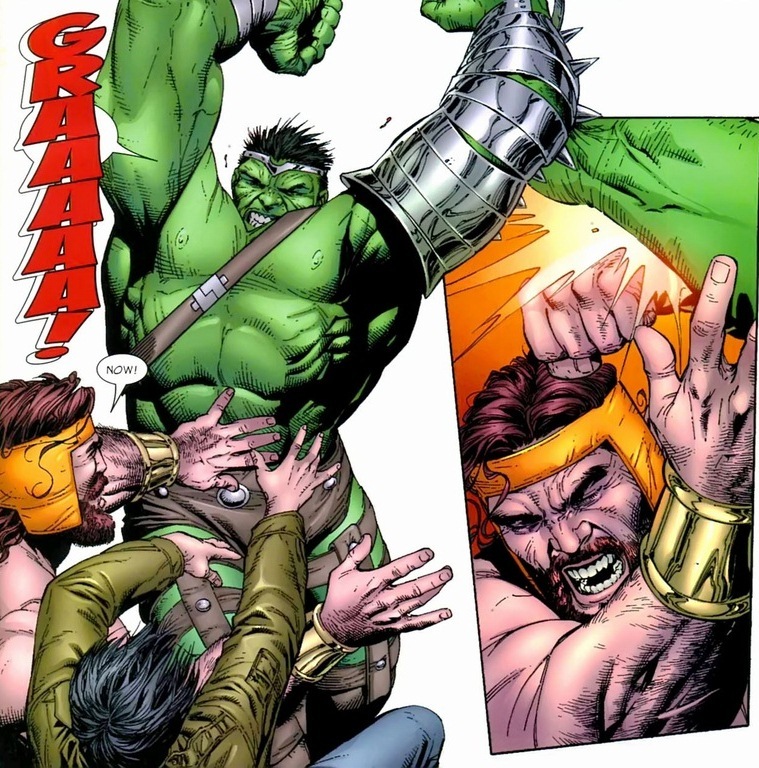 But if bruce banner is not in control of hulk at all, Hulk will be wild and agressive, killing people. 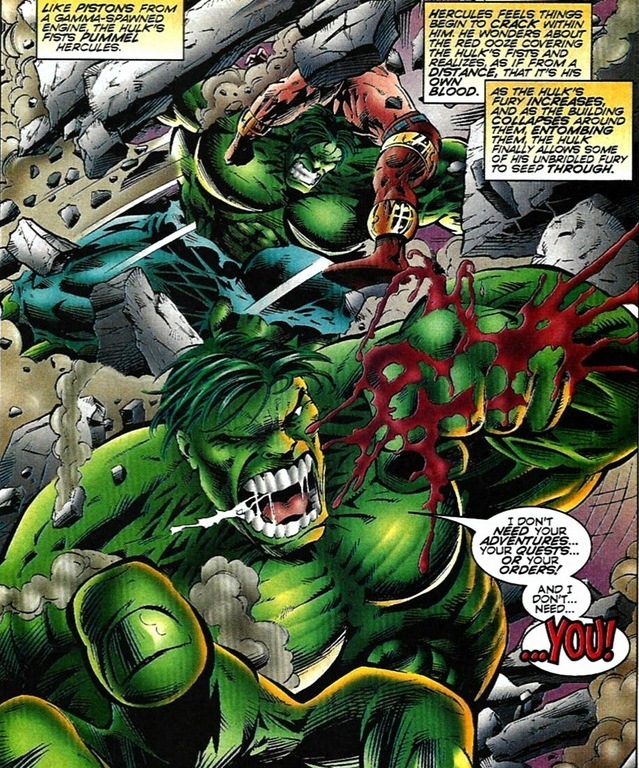 But the hulk dosn’t need to be skilled because the more hulk fights the stronger he gets. Ad has skin that reagenarates o matter how bad he gets hurt. 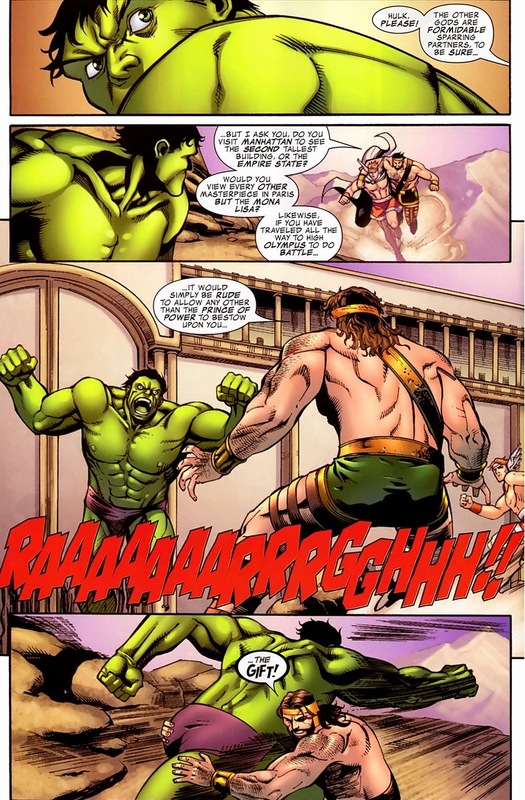 It is funny because Hercules is way stronger than the Hulk initially. The fight which you mention that Zeus intervened, Hercules wasn’t a god at the time & didn’t possess his Olympian strength; his strength was lower. His strength was at demigod level. Although not explicitly given, it was WELL BELOW his godhood-level strength.